From its beginnings as a boutique luxury firm to its affiliation with Compass, the Minnette Murray Group has always made providing individual attention to each and every client the cornerstone of its business. Rooted in honesty, integrity and industry expertise, the team delivers personalized service on all fronts, from staging assistance to scrupulously representing clients during tough negotiations. Coupled with the support of Compass' industry-leading, fully-integrated marketing platform, the team’s commitment to exceptional service has yielded exceptional results – more than $200 million in sales and a consistent placement at the top of production rankings. As head of the 10-person team, Minnette has nearly 25 years of experience in real estate and as a licensed CPA with a strong business acumen. Combining her passion for connecting people and properties with a business-minded focus on value and return sets Minnette apart in the market and achieves success for her clients. 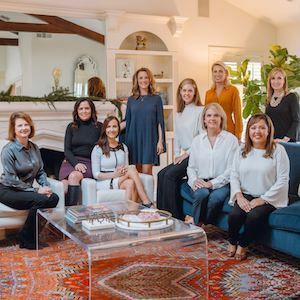 With long-standing roots in the Dallas market, the Minnette Murray Group specializes in the sale and purchase of homes in the Park Cities, Preston Hollow, Turtle Creek/Uptown, Lakewood, Greenway Parks and Bluffview areas of Dallas.